Michele A. Livingston is an internationally known visionary, psychic medium and gifted artist. With a master’s degree in art education, she taught art in public schools and later displayed her work in her own art gallery. Clairvoyant from an early age, she has the incredible ability to see and communicate with departed loved ones. She has hosted her own radio talk show and has made numerous appearances on radio including Hay House Radio and TV on Fox News, ABC and Comcast. Locally she is known at the ‘People’s Medium’ from her popular guest appearances on ‘The People’s Morning Show’ on 105.7 FM, The X. She has also donated her time during their November ‘Pay-4-Play’ radio-thon for Children’s Miracle Network for the past nine years doing phone readings for interested listeners. In 1993, Mary, the Blessed Mother, appeared to Michele—which astounded the author because she was not raised Catholic. Mary entreated her to paint 12 different images of Mary’s divine feminine energy. This event changed the author’s life and is chronicled in her first book, Visions from Mary. A similar encounter with Red Cloud, the departed chief of the Lakota Sioux Indians, became the subject of her second book, Echoes in the Wind. Her third book, Miraculous Encounters, True Stories of Experiences with Angels and Departed Loved Ones, is a compilation of over 100 stories of people’s spiritual experiences. Her fourth book, The True Nature of Love, Awakening to the Christ Consciousness, contains inspirational prayers on a variety of subjects with a central theme “love is the key to soul progression.” Book number five, Messages from Beyond: A Spiritual Guidebook is a revised version of her most popular book. It is filled with positive affirmations, information about conscious manifestation and advancement of the spiritual journey. Michele’s latest book, Living in the Afterlife, contains actual communication with 33 different souls that are now in Heaven, bringing new insight about what may happen after physical death. There is as much to do there spiritually as there is to do here physically on earth. We can teach, study any disclipline, help other souls make transition, guide people still on earth and even re-create our own favorite memories …or we can simply relax and do nothing! 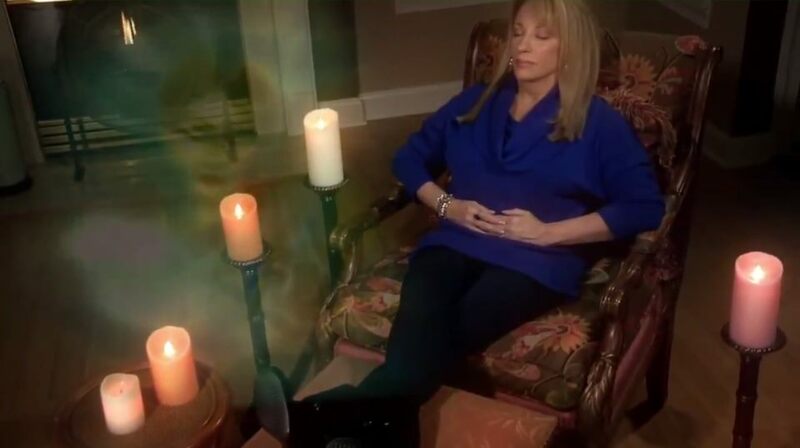 Michele has appeared on stage with world renowned evidential medium James Van Praagh (producer of the TV show “Ghost Whisperer”), who has endorsed her work. After filling in for Van Praagh on his TV show, she was offered her own TV show on Universal Broadcast Network, aired LIVE from Hollywood, CA. As a healer, counselor, columnist and ordained minister, she continues to bring messages and soul-healing stories to people all over the world and assists people in taking that “next step” in consciousness to become closer to the Creator.